We all have been locked out of our cars at one time or another. Although, that is not the worst situation you can be in when it comes to cars and keys, there is something that many of us will hardly experience at all and that is to have our car keys stolen. Do not panic if you ever get into a situation like this. You can do some fairly simple things to protect yourself and regain your peace of mind. 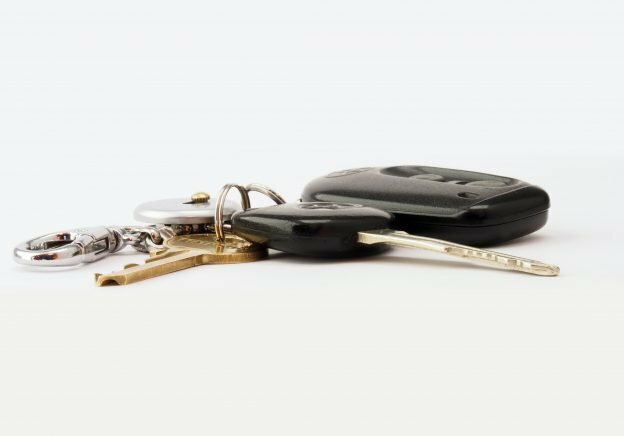 It might be a minor inconvenience for some to having their car keys stolen but to others, it can be a nightmare compounded by the fact that most of us have our house keys attached on the same key ring. As soon as you know that your car keys have been stolen, call the police first. File the police report in detail, including anyone you think might have a motive to steal your keys. Provide as many details as you can, every detail counts in a police investigation. After filing the police report, the officer will most likely advise you on whether or not you need to take certain safety precautions. After this, you should call your car insurance company to see if your insurance covers car key replacement cost. If your key ring also had your house keys attached, you should also call the homeowner’s insurance company. The insurance companies of both your house and car may or may not cover the cost of lock replacement. It is better to contact them and get the things clear. If you own a modern car with a newer model and your car keys are embedded with computer chips, it is possible that you don’t need new locks at all. You can go to your local dealer and have them reprogram a new key for you. But you will have to get your lock and ignition changed if you are driving an older model car without programmable keys. After your car keys are stolen, you need to pay attention to suspicious people who might still be around. They may not be aware of the fact that your locks have been changed. The presence of someone suspicious in the neighbourhood or in the public parking lot may make you anxious. If you find yourself nervous at any time, you should play caution and call the police. Be on the lookout for your keys because it is a possibility that you might have just misplaced them. Report to the police at once if that is the case. Everyone is not perfect and mistakes can be made. The police won’t mind if you inform them that you found your lost keys and that they were not stolen after all. You will only get in trouble if you found your lost keys and failed to inform the police, letting them continue an investigation which has no results. Marco’s Auto Locksmith has been in the Automotive Locksmith business for over fourteen years. They guarantee that no other locksmith has the computer system to cut and programme over 2300 automotive keys. With the help of Automotive Locksmiths Sydney – GCX300, they can now be the first automotive locksmith in Sydney that can laser cut keys and re-programme keys from any one of their mobile locksmith vans that all service Sydney wide. They pride themselves on a job well done and on providing affordable car keys replacement costs with exceptional customer service and satisfaction. This entry was posted in Car Key Replacement on May 22, 2018 by admin.